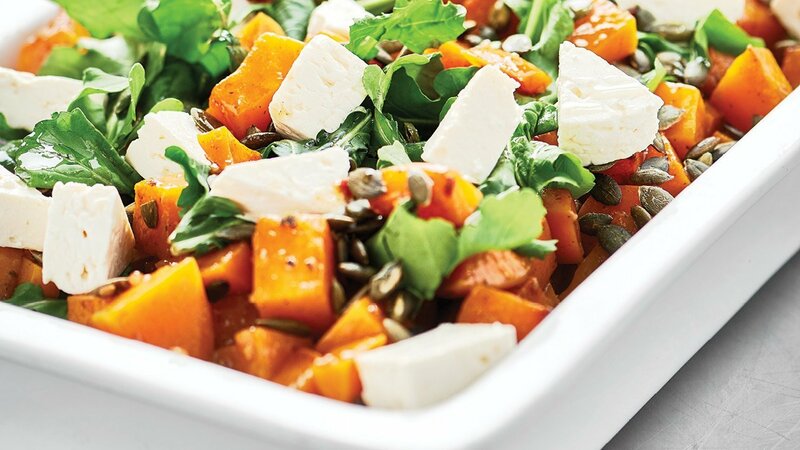 Roasted butternut with chunks of creamy feta, sprinkled with crunchy pumpkin seeds on a bed of rocket. Healthy and delicious. Place cubed butternut on a roasting tray. 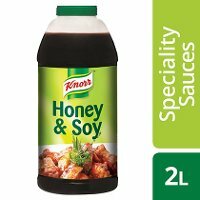 Mix together the oil, Knorr Honey & Soy Sauce, honey, Robertsons Veggie Seasoning and butter and pour over the butternut and give it a good toss. Place tray in oven to cook butternut. 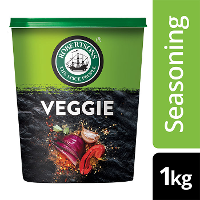 Place the rocket leaves on a serving platter, and arrange the cooled butternut over the rocket. Sprinkle the feta cheese and pumpkin seeds over the salad. Swap the toasted pumpkin seeds for toasted sunﬂower seeds for variety.